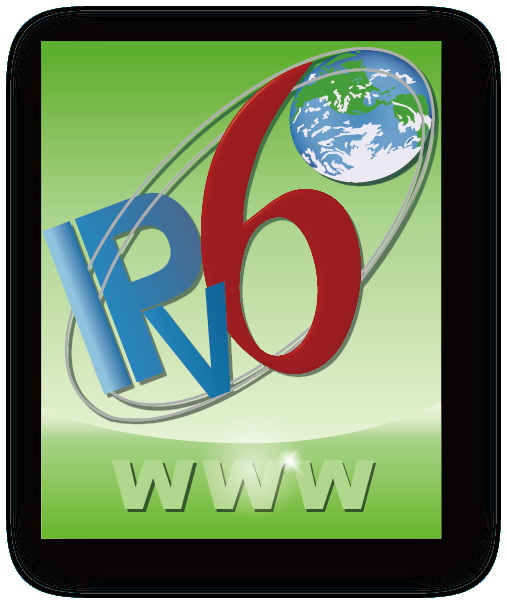 The IPv6 Enabled ISP Logo is to be used by individuals/companies that have assessed that their Internet accessing service comply with the requirements designated by the IPv6 Enabled Steering Group (v6eSG). The IPv6 Enabled ISP Logo can only be used under the following representations made by individuals /companies who desire to use the IPv6 Enabled ISP Logo. Please understand that this IPv6 Enabled Logo Program is built upon your trust to such individuals/companies' representations. We hereby make the following representations (the "Representations") for the purpose of using the IPv6 Enabled ISP Logo. "Committee" shall mean the IPv6 Enabled Logo Steering Group which is working under the supervision of the IPv6 Forum, whose purpose is solely to set guidelines for the application of the logo and to monitor the use of these guidelines. "Confirmed ISP" shall mean our ISP service as specified by us in the application form submitted to the Committee, and confirmed by the Committee for which the requirements designated by the Committee to confirm their interoperability are fully satisfied. Any update and/or modification of or to Confirmed ISP services shall also be deemed as Confirmed Product/Technology to the extent that such update and/or modification satisfies the said requests, and that we request and want such conformity. "Logo" shall mean the IPv6 Enabled ISP Logo which is indicated on the above. The information provided in the application form submitted to the Committee by us are accurate and complete. Our Confirmed ISP service fully satisfies the requirements designated by the Committee. We shall use the Logo solely for the Confirmed ISP service that actually meets the requirements designated by the Committee with respect to the Confirmed Category. We shall not use the Logo for any ISP service other than the Confirmed ISP service. We shall only display 1 (one) type of Logo at a time for the Confirmed ISP service that meets the requirements designated by the Committee with respect to the Confirmed Category. indicate that the ISP services meets all requirements set by the Committee for use of the Logo. We shall not use the Logo in any way that would associate it with any individual or company logo or brand. We shall use the Logo solely in accordance with the IPv6 Enabled ISP services Logo Style Guide which is prepared and amended by the Committee from time to time. We shall not frame, post, upload, transmit or modify in any way, all or any part of the Logo, unless expressly authorized in writing by the Committee. We shall immediately notify the Committee if we suspect or discover that our use conflicts with any of the Representations hereof as a result of upgrading of its Confirmed ISP services. In the event that the above notification is provided, we shall provide the Committee with any and all information requested by the Committee in relation to the upgrading of our Confirmed ISP services and all information in order to confirm the revised ISP services actually meets the requirements designated by the Committee with respect to the Confirmed Category. We shall not use the Logo for any ISP services which does not meet the requirements designated by the Committee with respect to the Confirmed Category. We do not own any intellectual property rights in relation to the Logo. We shall not use the Logo on the ILLEGAL and/or OFFENSIVE TO THE PUBLIC ORDER AND MORALS web site. The terms hereof may be amended at any time in accordance with terms of the Representations as amended by the Committee, after the completion and resolution of public review on the amendment(s). The fact that the terms have been changed will be highlighted on the IPv6 Forum’s website, in respect of any changes made within the previous 30 days. The amended terms will be effective immediately upon posting on the said website and we hereby irrevocably and unconditionally agree to be bound by the amended terms from the date of the posting on the said website. The terms hereof may not be amended otherwise.